"I just loved being in Wilkie's drug-soaked, lying, conniving mind." Is Dan Simmons America's best kept secret? To my mind, the guy has been hitting them out of the park from day one. I bought the Bluebird edition of 'Song of Kali' the week it came out, and I think that novel has been not a bad map for Dan Simmons fiction in general. It was gripping, emotionally involving, imaginative and difficult to classify. 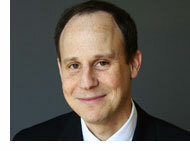 Simmons himself often jokes about the turns his fiction takes. He whips out an epic tale of soul-vampires with 'Carrion Comfort,' then turns around writes what becomes a classic of science fiction with 'Hyperion.' He's written hard, hard-boiled mysteries ('Hardcase'), and mainstream horror novels ('Summer of Night'). And all of these are coming up on twenty years old! Recently, Simmons has been exploring his own genre, the historical novel touched with a soupcon of the supernatural. But don't worry, a science fiction novel is on the way. I caught up with Dan Simmons on the eve of the release of his new novel 'Black Hills,' to ask him about creating what to me seems to be a quintessentially American novel. For all the range of imagination and plot that his novels cover, to me they are all essentially character-driven pieces. But I must say that I'm glad Simmons chooses to use aspects of the fantastic to tell his tale. It helps him get to places and points of view that he might not otherwise be able to easily find. Hopefully, Simmons will make it out on tour this year, and if he does, readers should make every chance to see him. He's the perfect sort of writer to see; he's quite willing and able to talk about his sources and resources, though what he had to say about researching on the Internet was rather surprising. Simmons and I talked about his next novel as well, which is going to be a dystopian novel set in the near future, titled 'Flashback.' It's a political novel, and Simmons tells me he aims to terrify all political ideologies; we can expect it in 2011. 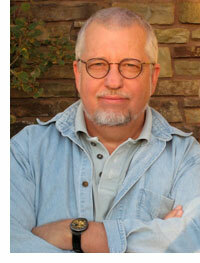 You can hear my interview with Dan Simmons by following this link to the MP3. "They hate the word 'drone,' but they're losing that battle." 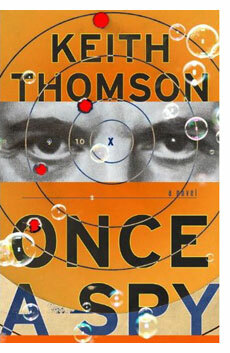 I just got off the phone with Keith Thomson, author of 'Once a Spy,' and even as I type these words into the Word file that will get cut and pasted into the html, the bits are being copied from the now-obsolete SanDisk 2 GB card to my hard drive for editing. So if readers are wondering whether or not they're getting the latest word, in this case, I'm living up to my long-lost "This just in..." line. Thomson, and note that this time around I'm spelling it correctly, comes by his spy novel the old-fashioned way; that is, he reports on matters of national (in)security for the Huffington Post. But the story he tells about the origin o the characters that drive 'Once a Spy' is just as mind-boggling as the novel. That story is, as we say in the textbook business, left for the student to hear. It's really as wild as anything he writes in his novel. 'Once a Spy' is lots of different kinds of novel, at least to this reader. For all the high-tech shenanigans, which Thomson knows about, it's the dialogue and the characters that really energize the book. Drummond Clark, and his son Charlie are far too much fun, given that they're dealing with the tragic affliction of Alzheimer's and the treacherous world of national security. One of the things I asked Thomson about was the aging factor when you write novels that intricately entwine cutting edge technology and politics. He told me about the whole drone business, to a level of detail I found to be frankly science-fictional. You hear about the real technology, it actually doesn't sound real. Now, on one hand, I'm all over drones and have been since I read Pat Anthony's prescient 'Cold Allies.' And of course, like everyone else I hear the news blurbs about Predator this and drone that in whatever war we're fighting at the moment. But I've never really stopped to consider how far this has gone at this moment, how far the tech has moved into the realm of science fiction. Keith Thomson has, and you can hear some of his utterly mind-boggling revelations by following this link to the MP3 audio file. "Is this one fiction? Is that one fiction?" Laurie R. King is really quite at home anywhere she goes. You can certainly tell that she's enjoying herself at SF in SF, and I found it fascinating to get the story on just how important the SF genre is to this writer. Her first novel was actually 'Califia's Daughters', even if she didn't finish until a bit later in her career. And as ever, it is all a matter of Da Rulez. The power of and the problem with science fiction is that the writer must make up the rules as or before she writes the book. Sure, it's nice to have the freedom to give your characters, for example, freedom from gravity. But once you do that, you've got a lot of explaining to do. Moreover, you can give them godlike powers, and that is where the problem lies. God may have created the world in seven days, but for most writers it's going to take a bit longer and require some potentially difficult decisions. 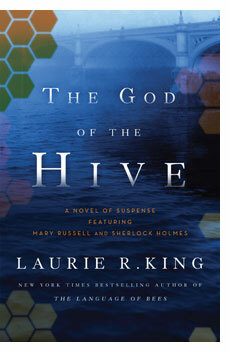 I finally got to talk to Laurie R. King about her science fiction novel, and to talk to her about her Russell-Holmes series as fantasy. Or rather, as she put it, metafiction, which a) I really like, and b)Is rarely done with as much verve as King brings to the table. One of the challenges or doing the off-the-cuff interviews at SF in SF (http://sfinsf.org) is the distraction level. I do the interviews single-mic style in the Variety Children's Charity Theater, in a little setup I make when I pitch my audio tent. Generally, during the break people leave the theater and I can do my schtick in relative quiet. But sometimes they hang around, and talk with author a while I'm interviewing author b. Loudly, they talk loudly. Now as an interviewer with some experience, I know that the mics I use are incredibly directional. Still, trying to carry on an interview, even having to raise one's voice to be heard, it does bring the whole operation into question. The guests have to be made comfortable in this environment as well as the interviewer. This interview was ... challenged, to be honest by the noise level when we were doing it. I told Laurie not to worry, the mics were very directional. And indeed they are. You can hear just how directional by following this link to the MP3 audio file. "...being at Small Beer has actually introduced whole worlds to me ..."
Let me make this perfectly clear; if you ever get a chance to see, hear or be in the general vicinity of Jedediah Berry, make every effort to do so! Berry is not just a great reader, and interview — he's also the sort of fellow who can summon up wonderful things from the depths of his imagination at the drop of a pen. That's pen, the sort you write with. Or rather, the sort he writes with, when he's signing books, or just chatting with readers. And the whole informal vibe at SF in SF is perfect for this sort of writer. He might go off and enter your dreams, just to see what it is he should write for you. It's more easily done in that "hanging out with the readers" environment that is peculiar to SF in SF. After his reading — and before our interview — Jedediah Berry announced to the audience that he'd be writing mysteries for those who wanted them, on bookmarks. It sounded nice, but I had no clue as to how he would accomplish this. I did know that wanted one. Then we went off into our conversation, to talk about his work with Small Beer Press, and about his forthcoming novel, which he's just starting. He tells me that (at this early stage; these things can change without notice, so don't hold either of us to it), his next novel will be very much science fiction. Beyond that, well — we'll have to wait, and hopefully not too long. 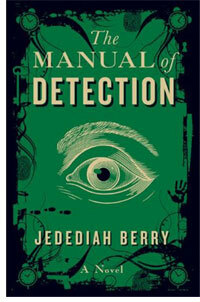 When he read from 'The Manual of Detection,' I noticed that Berry seemed fascinated with themes of recursion. Everything was reflected in his novel; a desk on one floor had parallel copies on other floors, for example. So I asked him about this, and he told me in response about a story he was working on — I'll let him fill in the details. But we can only hope that someone jumps on the special-format publication I suggested. It would make a great limited edition. Berry was as good as his word when it came time to create the mysteries for the bookmarks. 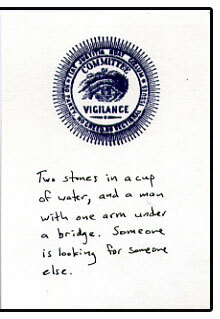 On mine he wrote: "Two stones in a cup of water, and a man with one arm under a bridge. Someone is looking for someone else." You can find out what he told me by following this link to the MP3 audio file. "Our common humanity, our common culture, will help make the connections." Yes, I first met Graeme Gibson in the Starbuck's around the corner from KQED. I'd arrived early, since the drive from Santa Cruz to San Francisco is somewhat unpredictable. I thought I'd grab a cup of plain coffee to restart my brain after the rather nice but mind-numbing drive up. And there, sitting with Howard Gelman, my regular engineer at KQED, was Graeme Gibson. I got my drink, and sat down with them and we chatted, which in the interview business is somewhat dicey. When one is about to interview anyone, it's best not to speak to them very much beforehand. I learned this lesson when I first talked with Chuck Palahniuk. We had a lovely chat about manifestations of the Blessed Virgin Mary ” off tape. Fortunately, I was able to hold my water, so to speak, so we talked a bit about something we had in common that had nothing to do with my interview with Graeme — that would be his wife, Margaret Atwood, who is connected to the books only by virtue of having a poem in one. I'd spoken with Atwood what seemed like not long before, but by now ... ages ago. Once we got on tape, with Gelman's able help, we delved right into the subject at hand; Gibson's wonderfully book-geekish books, 'The Bedside Book of Birds' and 'The Bedside Book of Beasts.' And more importantly, about the means by which he went about creating these lovely pieces of art, for that's really what we're talking about here. Each of these books is the concrete expression of Gibson's vision of man, nature and the world. In a sense, these books are to me now what the Time-Life library books were to me when I was a kid. God, I wonder if I still have any of these, hidden in the garage or something. Just the memory of getting these book stokes the reading fires. My Gramma Kleffel got them for me, and I collected them religiously. Now, Gibson's work goes a good deal farther and is more artistically inclined than the Time Life books ever were, but still. Wow. 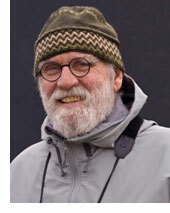 Gibson has the passion of an articulate artist and the clarity of a focused scientist. But in his method and his format he manages to create books that are unlike any others out there. They're beautiful books in which fiction and poetry are transmuted into artifacts and facts. You can hear how he manages this unique feat by following this link to the MP3 audio file.